NYC, 05/18/2019, 2:00PM. 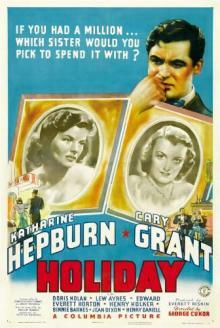 George Cukor's Holiday (1938): Romantic Comedy With Katharine Hepburn. A young man in love with a girl from a rich family finds his unorthodox plan to go on holiday for the early years of his life met with skepticism by everyone except for his fiancée's eccentric sister and long-suffering brother. Starring: Katharine Hepburn, Cary Grant, Doris Nolan. The film was nominated for an Academy Award for Best Art Direction.